USA (NY) – National CineMedia has announced the details of its partnership with Shazam, to create audio-embedded links in its adverts for enhanced content. There are further partnerships with Disney’s Maker Studios and Idea United. National CineMedia revealed intriguing partnerships with Shazam and Maker Studios today at its upfront event near Lincoln Square in New York. The moves underscore how the cinema ads network increasingly sees itself as a digital company. 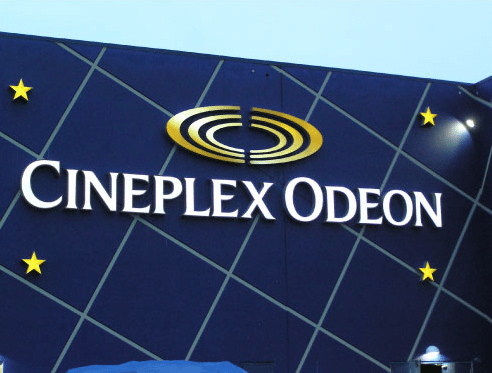 Canada – Ticket prices fell in the first quarter of 2014, which is perhaps why Canada’s Cineplex is experimenting with higher charges for some seats and shows. Later this year, at the Varsity location in Toronto’s Manulife Centre, the company will launch a pilot project in which patrons pay an extra $2-$3 for the prime seats in the middle rows of the theatre. “We’ve had great success with our UltraAVX cinemas ($3-$5 surcharge) as well as our VIP cinemas ($7-$12 surcharge) which both offer reserved seating; and so people really like that opportunity,” said spokeswoman Pat Marshall. USA – Fandango has added three more exhibitors to its network. Harkins Theatres, Digiplex Destinations and Premiere Cinemas have joined Fandango’s network of cinema chains, the movie ticketer said Thursday. The company said that the new agreements will add 1,000 screens to its rolls in a dozen states including California, Colorado, Florida, Maryland, New Mexico and Texas. The deals will go into effect this summer. New Zealand – Detailed article about Vista’s acquisition of Movio and MACCS, which we covered in-depth earlier. The company is on the hunt for further acquisition targets. China, anyone? 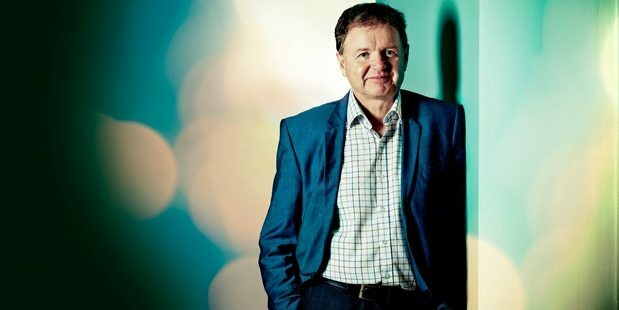 Cinema software company Vista Entertainment Solutions is on the acquisition trail as the Auckland-based firm hunts for a bigger audience in the movie industry. The company is a key global player in the cinema management software market, and is set to broaden its scope through buying stakes in Dutch company MACCS International (Movie ACCounting System) and New Zealand start-up, Movio. China – More signs of troubles for the Chinese cinema market? In the city of Tianjin only 12 out of 47 cinemas made a profit in the past year, i.e. less than 30%. This is not some backward provincial city. It is one of China’s five central cities with a population of more than 14 million and there is plenty of both IMAX and 3D. 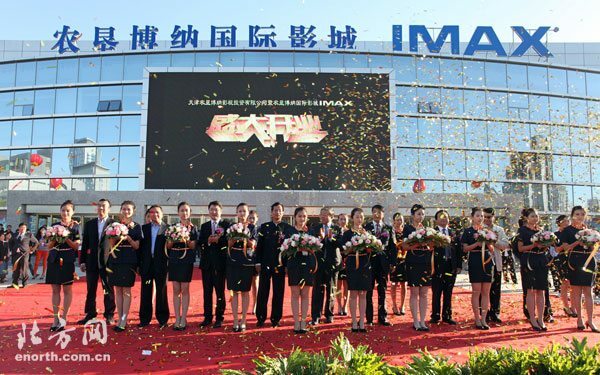 According to Tianjin Central Business Center, Tianjin currently has no less than eight (8) IMAX screens, including the country’s largest Imax screen. Sweden – Scandinavia is set to get its first (non-museum) Imax screen in Stockholm next year. 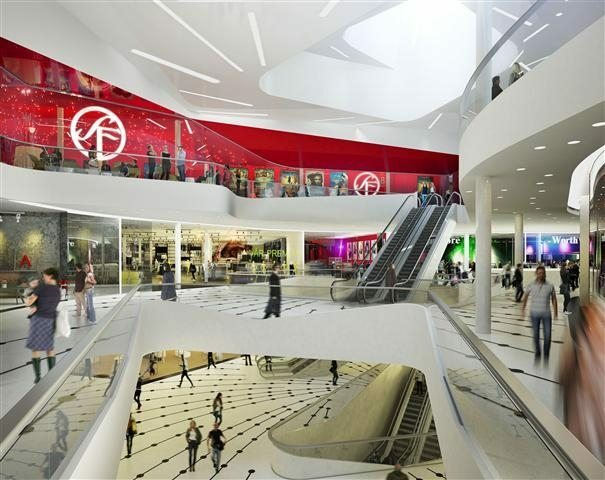 IMAX Corporation and Nordic Cinema Group, the number one cinema company in Scandinavia, today announced an agreement to install an IMAX® theatre at its new SF Bio multiplex in the Mall of Scandinavia in Stockholm, Sweden opening in the fall of 2015. The deal marks the Company’s first IMAX commercial multiplex agreement in Scandinavia. India – Mall closures and high entertainment taxes are not enough to discourage multiplex developers in India, according to Variety. Let’s see if there is any change after the election and new government, though with many of these issues controlled at state level, don’t expect a massive overnight shift. 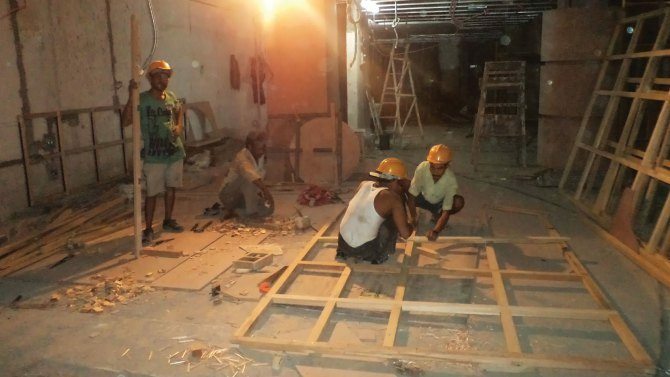 Economic growth in India that was close to double digits two years ago is hovering around the 5% mark. Tax incentives formerly offered by the government to encourage multiplex growth are not available anymore. Also, entertainment tax rates are high in India and can be as steep as 45%-60% of ticket prices. Romania – Hence why cinema attendance has been rising – because it was low to begin with in Romania. Encouraging though that young people go. 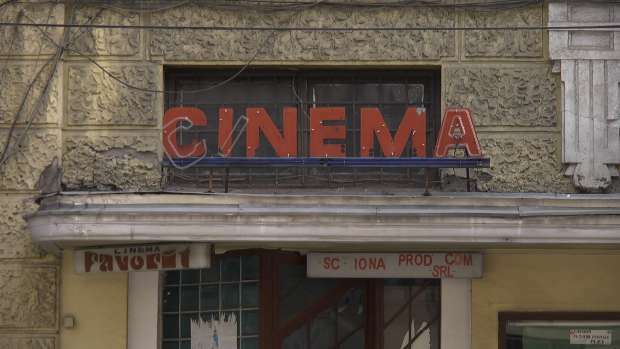 Romania is among the countries with the lowest cinema audiences, although cinema attendance rates are increasing, according to a research conducted by the European Commission in ten EU member states. Romanian cinema viewers prefer American movies to European and Romanian productions, the research showed. Canada – The leading Canadian digital cinema projector manufacturer will continue sponsoring Canada’s leading film festival. Atmos – A criticism of Dolby’s Atmos, or rather how immersive audio is being mis-used by sound mixers. The problem, though, is that I’m not convinced that Atmos is being deployed in quite the way that it should. And it ties into a broader issue with cinema audio levels. Anyone who has tinkered with any kind of surround sound set-up will know that it’s the placement of the sound that’s crucial. Getting the balance of levels is a fine art at times, and it varies on a film by film basis. Atmos, in theory, should all be about the placement. However, with every subsequent film that I see screened using the format, the thing that’s coming through more than anything is the sheer volume. That somewhere along the line, the onus is switching from the delicate positioning of sound, to using the separate speakers and blasting you with very loud noise from even more directions than before. UK – Empire’s competition for a new (temporary) popcorn flavour has been won by… fish ‘n’ chips. Well, it is the UK. The “quintessentially British flavour” of Chippy Fish popcorn will go on sale at Empire cinemas for a limited time over the summer after thousands of film fans voted it the taste they would most like to try. Empire said the popcorn was “set to be a delicious twist on the staple fish and chips meal, and a perfect addition to the cinema experience”. USA (ND) – It seems Marcus Theatres has given up on its plans to bring bars and alcohol to its cinema in Fargo. Marcus Theatres is shelving its plan to offer liquor in movie theaters here, citing reluctance from community leaders and residents. When Marcus, which operates Fargo’s two major first-run theaters, proposed setting up a lounge and bar area in the West Acres Cinema in February, it was met with resistance from some, including Mayor Dennis Walaker, who said movie theaters were a family-friendly environment that didn’t need booze. 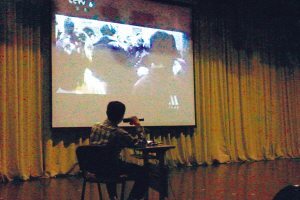 China – Chinese films don’t yet come with audio description tracks, so instead blind and visually impaired audiences are treated to a live narration of the action on screen in this cinema. In Tongan Road, Heping District, located in the Peace Palace of Culture on the fourth floor lecture hall, a rich magnetic voice can be heard. “?? ?daughter saw from the outside, that Jiao Shuji is still busy in the office, right Qiazhao waist, endured great pain …… ” Big screen in the hall is playing the movie” Jiao”. Why watch a movie which also needs someone to explain it? Here the audience will understand, because most of them are visually impaired . And here in the city lies “Reckoning Theater “, which opened nearly seven years. Australia – It seems that audio description is not always running smoothly in Australia, though the matter seems to have been resolved eventually. “My husband and I decided to go to the movies and we chose a film that had been advertised as audio described. 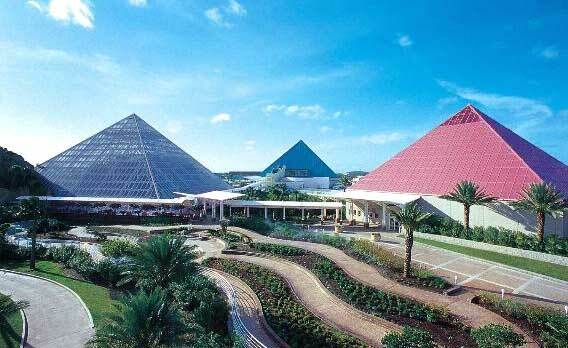 Unfortunately when we got there, the staff didn’t know how to help me,” said Rhonda. “The cinema manager approached me immediately afterwards to apologise,” she added. 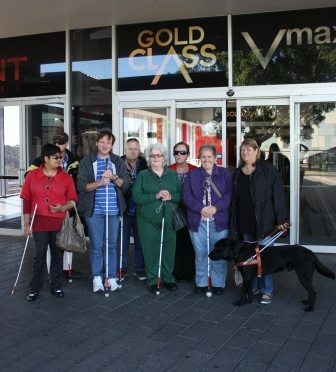 Rhonda, who runs the Campbelltown vision impaired persons Local Client Group was pleased when he agreed to host a group of vision impaired people at a special screening. UK – Yet another example of an under-age baby trying to sneak in to see a film that it is clearly too young to watch. Or something like that. 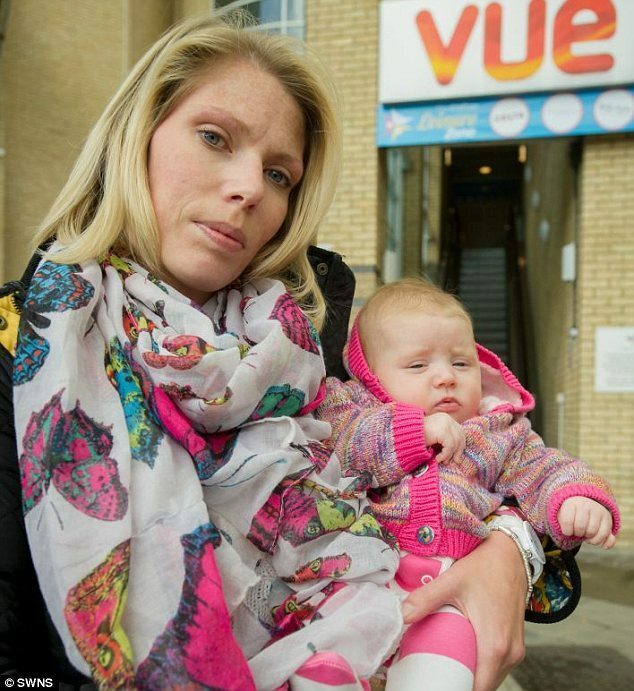 A mother is furious after she was ordered to leave a cinema showing a 15-rated film because she had her baby daughter with her. Sam Ross was told she was ‘breaking the law’ by taking her baby to raunchy comedy Bad Neighbours – even though the 11-week-old girl is too young to understand any film. USA (TX) – Given the high price of laser projectors, it should not come as a surprise that theme parks are some of the first customers to be able to afford them. UK – Event cinema distributor More2Screen will be bringing one of Russia’s leading ballets to screens around the world. More2Screen has been appointed by the Mariinsky Theatre to bring Mariinsky on Screen LIVE to cinemas worldwide this summer in partnership with production company Telmondis. On Monday 14 July one of the all-time favourites from the ballet repertoire, La Bayadère, will be broadcast live from the Mariinsky Theatre in St. Petersburg. This will be followed by a live broadcast of a brand-new production of War and Peace from the stunning Mariinsky II stage on Wednesday 16 July. Both productions will be conducted by the Artistic and General Director of the Mariinsky Theatre, Valery Gergiev. USA – Given the success of the Dr Who 50th Anniversary 3D screening, this should perhaps not come as a surprise. UK – It was a critical hit but a commercial failure. Now cinema audiences across the UK will get a chance to re-appraise From Here To Eternity. Tim Rice’s musical to be released in over 250 cinemas across the UK and Ireland on July 3. From Here to Eternity will be released in over 250 cinemas across the UK and Ireland on July 3. USA (FL) – Even when cinemas close due to lack of digital, some get a new lease of life under new management. Cinema Plus will reopen June 6 with a new owner, new projection system and a reworked business plan. James Coleman of Navarre purchased Cinema Plus after the historic theater announced in late April it would be closing. UK – Our favourite conversion proposal has been given the go-ahead by the local council. The bid to transform Montrose’s former swimming pool into a cinema has been formally approved by Angus Council. 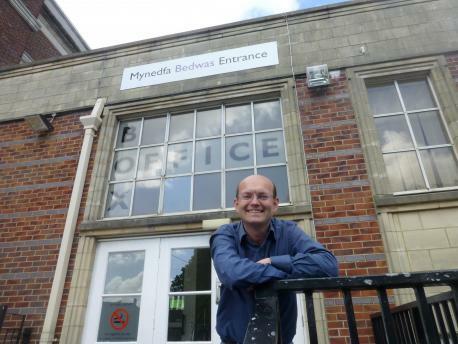 And planning approval to turn the former building on The Mall into a three-screen picture house has been welcomed. 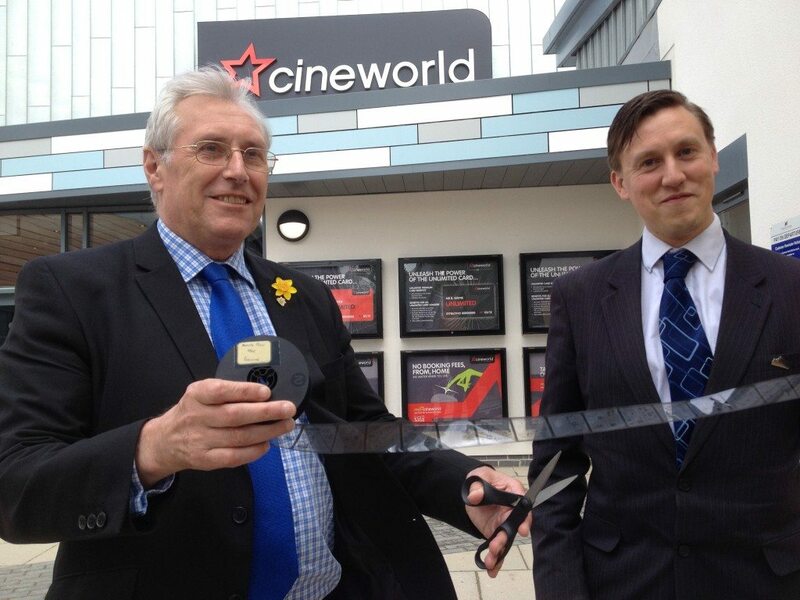 UK – A Cineworld is ready to be opened a year delayed, after having been built in the wrong place! Also, note the roll of film in the photo (above), which I guess is more photogenic than a hard drive, even if I doubt there is a single 35mm projector in the entire multiplex. St Neots opens tomorrow (Friday) – more than a year after being built in the wrong place. Moving the skeleton of the massive six-screen complex less than a metre caused inevitable delays to the construction process, pushing back the planned opening from last September. Australia – More luxury cinemas for Australia. I guess there might be less complaints about high ticket prices that way. 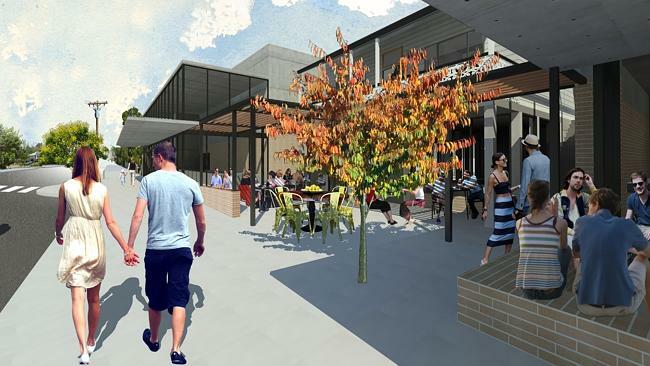 PLANS for a luxury cinema and restaurants on Hawthorne Rd have been lodged with Brisbane City Council in a bid to attract more people to the precinct. UK (Wales) – Barry is the seventh biggest town in Wales, yet amazingly it does not have its own cinema. There is some hope to use the Town Hall for the purpose. “Whenever we have asked about a new cinema coming to Barry, the council has talked about bringing a multiplex to Barry Island. “However, planning permission for the funfair on Barry Island has now been extinguished, so there is no prospect of a new cinema in Barry in the near future. USA (WA) – One of the most unique cinemas in Seattle, the former Egyptian, has been bought by the local film festival. The Seattle International Film Festival has purchased the SIFF Cinema Uptown, becoming a permanent resident of Lower Queen Anne/Uptown. SIFFannounced the purchase, with funding from its “Angels of the Uptown,” David and Linda Cornfield, at the 40th Seattle International Film Festival. USA (NY) – There seems to be a healthy level of interest in keeping Buffalo’s Market Arcade Cinema Complex going. The Buffalo Urban Renewal Agency has received letters of interest from four potential buyers for the Market Arcade Cinema complex. The Buffalo News has identified three of them: Dr. Gregory Daniel, developer Rocco Termini, and Sinatra & Company Realty which is buying the adjacent Market Arcade complex from the City. OK, we did promise a moratorium on outdoor cinema news, but we will happily make an exception for this London one. Because it is floating! Just when we think we’ve exhausted every possible aspect of outdoor cinema in London, another one pops up. Floating Cinema has a summer of films, workshops, art events and more lined up at various locations this summer. The film section of the programme focuses on international documentaries, shorts and features.